The Executive Team manages the operations and day-to-day activities of the Climate-KIC Group. The Executive Board is led by the CEO and the CFO, who are managing statutory directors. 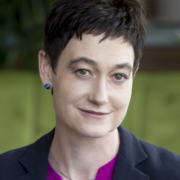 Dr Kirsten Dunlop joined EIT Climate-KIC in January 2017, from Suncorp Australia, where she was Executive General Manager Strategic Innovation. At Suncorp Kirsten founded and led a bespoke division focused on managing and responding to strategic risk through innovation, transforming core business and industry models from within. 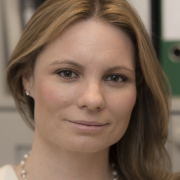 Prior to roles in Second Road, KPMG and Suncorp, Kirsten worked in the UK and Italy for 15 years. Steven has significant experience driving financial performance, building robust operating platforms and steering organisations through significant change in global insurance markets. His previous roles include UK Country Manager and UK CFO for a global insurer’s corporate and specialty businesses, CFO of a Lloyd’s business and senior financial executive positions with a global reinsurer. 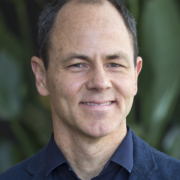 With 15 years’ experience of working on climate change policy and research, Dr. Tom Mitchell has a PhD in climate and disaster risk management and has published widely on climate resilience. Before joining EIT Climate-KIC, Tom led the climate change team at the Overseas Development Institute, supported UN policy on disaster risk reduction and served as a coordinating lead author of the Intergovernmental Panel on Climate Change. Marco has multi-sector work experience having worked in partnership with governments, the UN, civil society organisations, the private sector, foundations and academic institutions. From 2010-2015 he was Chief Partnerships of UN Volunteers leading a team on global fundraising, partnership and outreach. Most recently he has been running his own company from Spain, Brokering Solidarity, bringing organisations and communities together to build a more sustainable world. 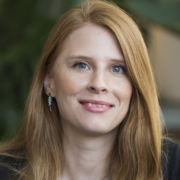 Anna is responsible for Legal & Compliance at EIT Climate-KIC. Her expertise spans corporate (including governance) and commercial through to risk, regulatory and privacy/DPO arrangements. With 15 years of experience, Anna is a multi-jurisdictional specialist and quadruple qualified (Ireland, England & Wales, New York and NSW). She has a Master of Laws from Yale Law School, Bachelor of Commerce and Bachelor of Laws from University of New South Wales. 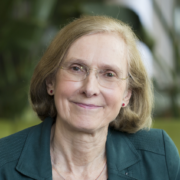 Mary Ritter was CEO of EIT Climate-KIC from 2010 to 2014 and has had extensive experience in senior management at Imperial College London where she is currently Emeritus Professor of Immunology. She held the posts of Pro-Rector for Postgraduate Affairs (2004-2005), Pro-Rector Postgraduate and International Affairs (2005-2007) and Pro-Rector for International Affairs (2007-2011). As acting Director of Education, Line focuses on ensuring competence development opportunities for students, professionals and future entrepreneurs addressing climate change challenges. She holds a PhD degree in University-Industry collaboration from Copenhagen Business School. With a background as senior consultant in the Copenhagen based education think tank, DEA, Line has gained a deep insight in the European educational landscape and its dynamics. Sira and the Sustainable Production Systems team are building a new foundation for Europe’s industry, fostering innovation that decouples economic growth from unsustainable resource use and greenhouse gas emissions. 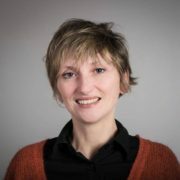 Previously, through her work at Siemens Gigaset and BMW Group Designworks, Sira developed expertise in innovation management, business development and environmental sustainability. She holds a postgraduate Masters Degree in non-profit administration. Sean is a surveyor by profession with a focus on sustainability. He was the Global Head of Sustainability at Atkins, one of the world’s leading design, engineering & project management consultancies. 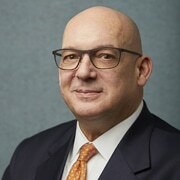 At Atkins, he managed a global network of 100 people. 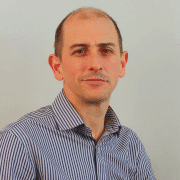 Sean joined Atkins from the Building Research Establishment (BRE) in 2001 where he had worked on the Energy Efficiency Best Practice Programme. He is a fellow of the Royal Institute of Chartered Surveyors. Daniel Zimmer has a background in Agricultural Engineering and in Hydrology. 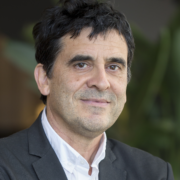 He spent the first 15 years of his career at Cemagref, the French Agricultural and Environmental Engineering Research Centre (today IRSTEA). Daniel became the Director of the World Water Council for eight years, an international institution based in Marseilles, France. 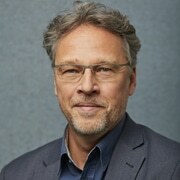 After a short period of work as a Consultant for the UN and other international institutions, he joined EIT Climate-KIC in 2010. 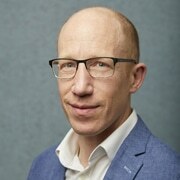 Tom returned to Europe in 2011 with his family and worked with the Utrecht Sustainable Institute as senior cluster manager water and integrated projects, set up the European HQ of The Energy and Resources Institute with it global HQ in New Delhi. 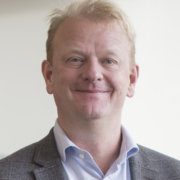 Tom decided in 2013 to join EIT Climate KIC where he became Director for the Benelux in July 2016. He is an avid sailor and adventurer. 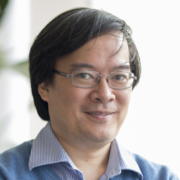 A classical concert violinist, mathematician and engineer, Thanh-Tâm joined EIT Climate-KIC in 2013 as Director for France and, since 2016, for the Mediterranean. He had previously set up the Ecole Polytechnique’s Graduate School (Doctoral and Master’s Directorates, Careers, Internships & Academic counselling) and become its first Director. Prior experience includes a Ph.D. in 4D topology, followed with positions as Lecturer and Dean at SUPAERO (Toulouse). 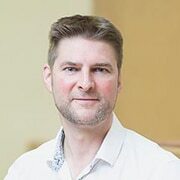 Dr Andy Kerr joined EIT Climate-KIC in January 2019 from the Edinburgh Centre for Carbon Innovation (ECCI) at the University of Edinburgh, where he was the founding Executive Director. 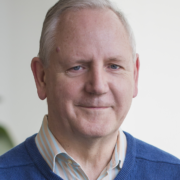 At ECCI, he built Scotland’s leading climate and low carbon innovation centre, bringing together public policy, city-region transformation and early stage business support. 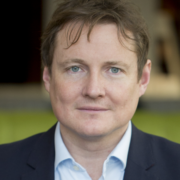 Prior to ECCI Andy worked in the private sector, helping develop emerging environmental markets, and advising organisations how to respond to the climate imperative. 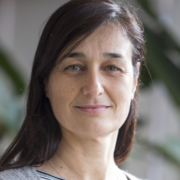 Angelica Monaco has been the Director of EIT Climate-KIC Italy since February 2016. With a degree in International Political Science and a Master in Entrepreneurship she has over twenty years of experience in the management of regional and international programs dedicated to innovative start-ups, technology transfer and enhancement of innovation in SMEs. 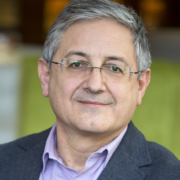 José-Luis Muñoz-Bonet has a Masters Degree in Industrial Engineering, a Masters of Advanced Studies in Innovation Projects and more than 25 years of professional experience in environment, water and energy management, innovation and international cooperation. He has had executive responsibilities in companies such as IBM and public bodies such as the FCVRE based in Brussels. Meret joined EIT Climate-KIC in April 2016 from Unilever, where she worked in the Sustainable Procurement Team to transform smallholder farmer supply chains. Earlier in her career, she worked in Paris in the area of security and crisis management for Technip and the French Foreign Ministry. 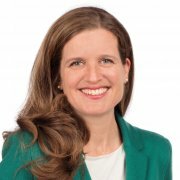 Meret holds an MBA from the University of St Gallen and a Master degree in Law and Political Science from the University Paris XI. 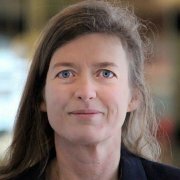 Caroline joined EIT Climate-KIC in March 2015. She is a key relationship contact with our main funder, EIT, and responsible for managing our annual EIT Business Plan and Reporting activities. Caroline brings a unique range of experience in grant management, programme delivery and business development having worked at organisations including Forum for the Future, Energy Saving Trust and Clifford Chance. In 2016, she was awarded MSc Sustainable Development in Practice. 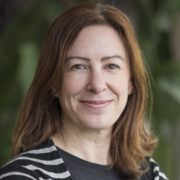 Prior to joining EIT Climate-KIC, Felicity was employed as Senior Carbon Finance Specialist with the Carbon Market and Innovation Group at the World Bank, where she led the work program on Results Based Climate Finance, managed knowledge dissemination and duplication for the $123 million Carbon Initiative for Development fund, and managed the offset and crediting activities under the Partnership for Market Readiness technical program. 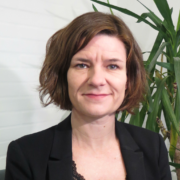 Helen Spence-Jackson is an EU Affairs specialist, with 20 years’ experience of building high impact relationships and initiatives in Brussels. 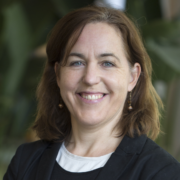 Prior to joining EIT Climate-KIC in 2017, Helen worked for the EU office of the University of Cambridge Institute for Sustainability Leadership, EU Green Growth Platform and the EU Corporate Leaders Group. Earlier in her career she worked with regional and local government organisations.